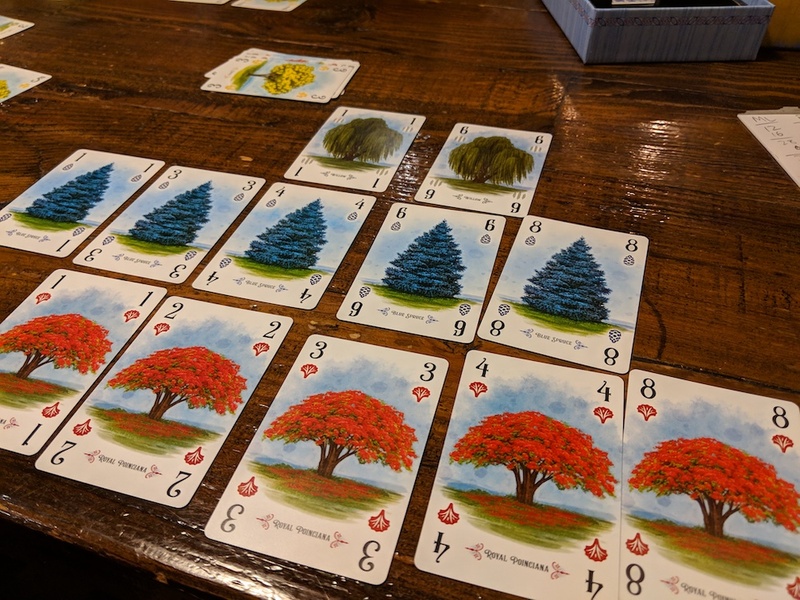 This is Day 24 of my Game-and-Blog-Every-Day-in-November Challenge. Search my blog for “Daily Game Challenge” for previous entries. 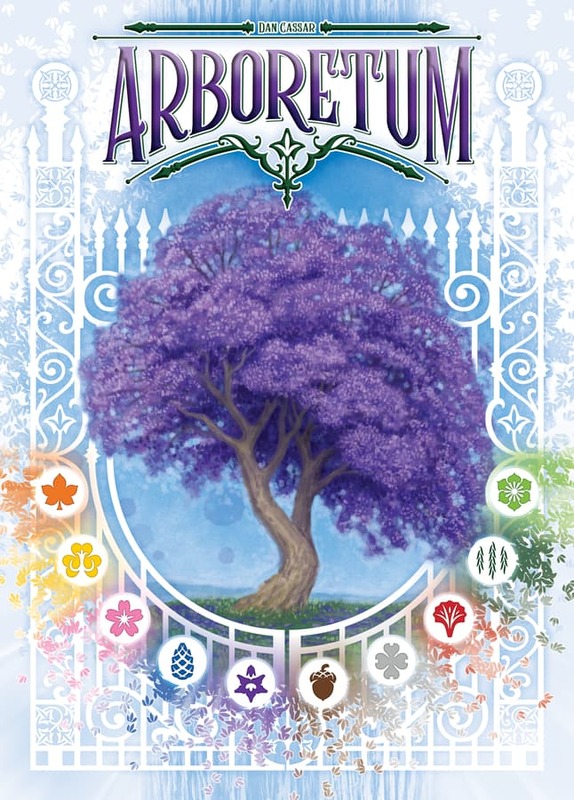 In 2015, Z-Man Games published Arboretum. It was very successful and promptly sold out. Oddly, despite its success, the game was perpetually out of print. 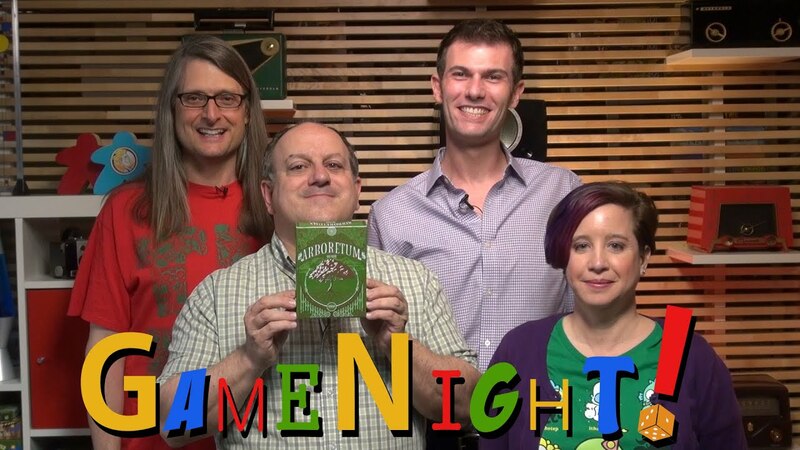 Now, Renegade Game Studios has picked it up. 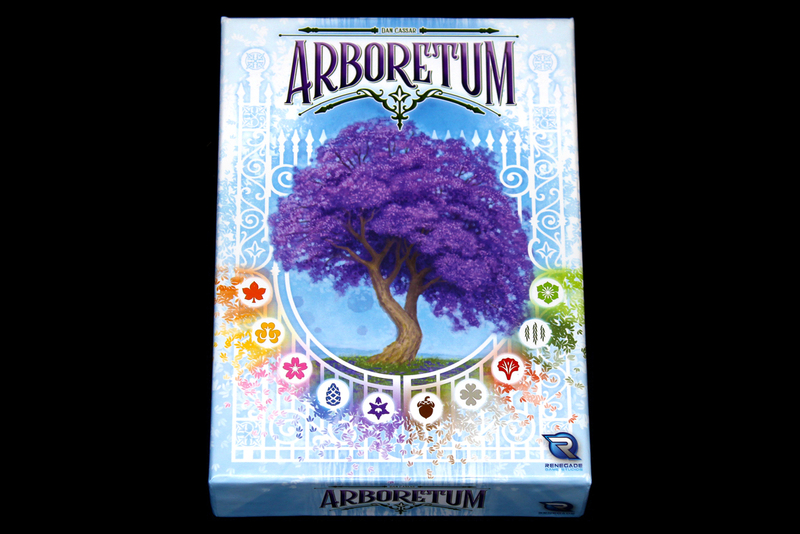 So let’s talk about Arobretum was designed by Dan Cassar. Every year around this time (September, to be exact), I start to get very excited. No, I have not been waiting all year for the return of the coveted Pumpkin Spice Latte; I am shivering with anticipation of the arrival of Autumn, signaled by the changing of the leaves. Arboretum is a card game of sequence-building, in which players each create a grid of cards, optimized to score points. 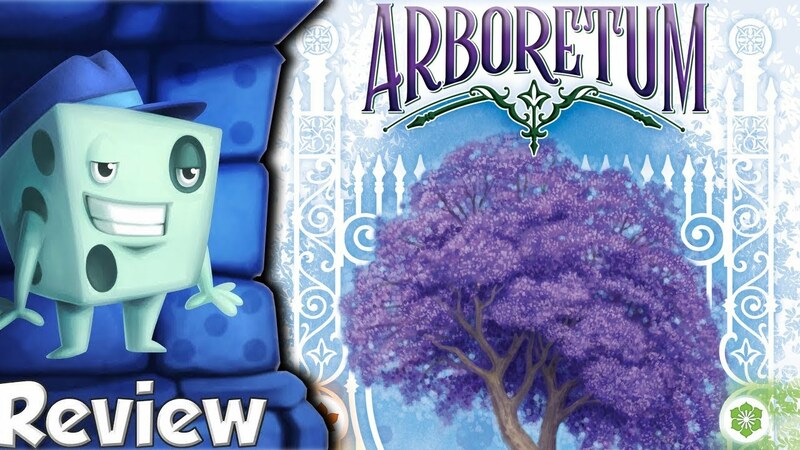 The gameplay is easy to understand, but its clever scoring system makes it a challenging puzzle. 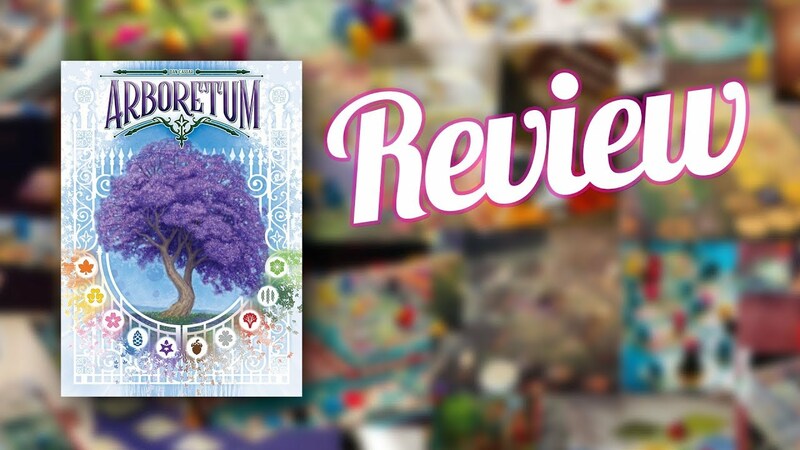 It is a great family game with a surprisingly deep strategy. Base price: $20. 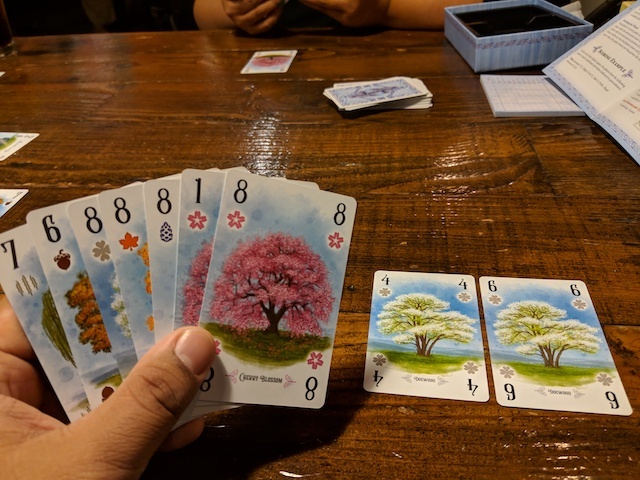 2 – 4 players. Reviewed at 2. Play time: ~30 minutes. 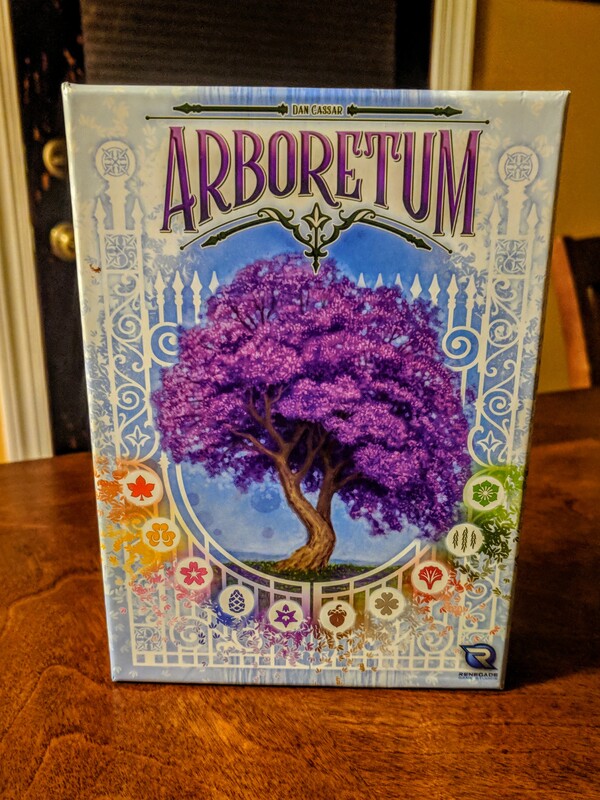 BGG Link Buy on Amazon (via What’s Eric Playing?) 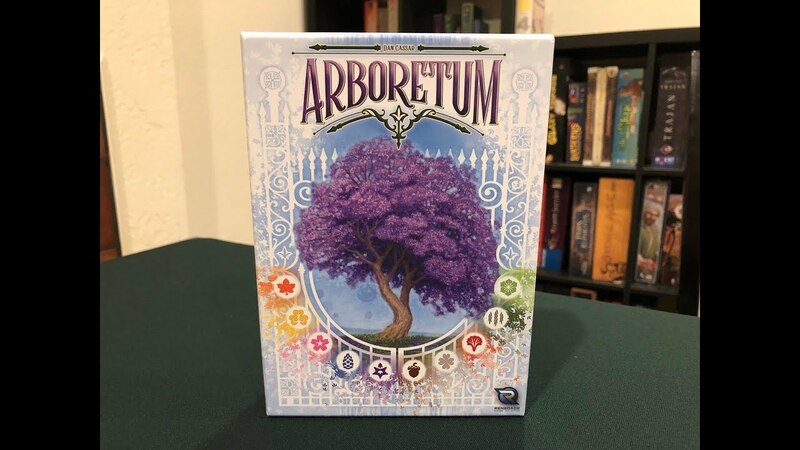 Logged plays: 3 Full disclosure: A review copy of Arboretum was provided by Renegade Game Studios.